Pinarayi Vijayan, Chief Minister of Kerala inaugurated the Malanad-Malabar cruise tourism project worth Rs 325 crore at Parassinikkadavu near Kannur to highlight the tranquil waterways of Northern Kerala and encourage tourist arrivals to lesser-known destinations of the state. Kerala Tourism will implement this unique project in association with the state government. Vijayan said, “This initiative will focus on improving the quality of tourism and make sure that all the visitors will have exceptional experiences. Tourists come in hopes of exploring our land’s rich natural resources and heritage. So it is important that we maintain and keep our culture intact while also accommodating all the required modern amenities in an eco-friendly manner in accordance with sustaining traditional occupations in Kasargod and Kannur districts.” Kadakampally Surendran, Honorable Minister for Cooperation, Tourism and Devaswoms, Government of Kerala said, “We were unable to explore the tourism potential in North Malabar. With the commencement of this initiative that calls for an integrated plan, Malabar regions in the state will finally be able to expedite tourism opportunities. With the functioning of the Kannur International Airport, the cruise project would attract travel and adventure enthusiasts to the state. Within the last year 600 Crore has been allocated for North Malabar and a government order issued 75 crore for Kannur district and 12.5 crore for Kasargod district.” The Malabar circuit will feature cruises based on the themes of its culture. While the martial arts and Kalari cruise on Mahe River will memorialise the origins of ‘Kalari’, the Pazhassi Raja and spices cruise on Anjarakkandy River will commemorate Pazhassi’s struggles. To reach out to the domestic market, Kerala Tourism is organising a string of Partnership Meets in Mumbai, Pune, Jaipur, Chandigarh, Bengaluru, Hyderabad, Visakhapatnam, Chennai, Kolkata, Patna and Delhi in the 1st quarter of 2018. At the Partnership Meet in Mumbai on January 09, Kadakampally Surendran, Minister for Co-Operation, Tourism and Devaswom, Government of Kerala, said, “To ensure the accomplishment of an ambitious target of a 100% increase in arrival of foreign tourists and 50% in domestic tourists in five years, a tourism regulatory authority has been formed. This would help put a stop to any unhealthy practices and guarantee better intervention of the Tourism Department through scrutiny and a licensing system.” The new Kerala Tourism Policy also forms a major highlight of this year’s domestic campaign. The revamped fare with an array of new tourism products was showcased at Mumbai today. 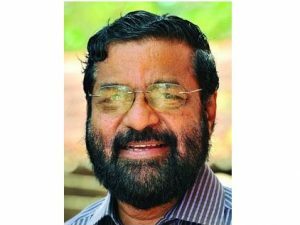 Kerala’s new Tourism Policy 2017, unveiled by Kadakampally Surendran, Minister for Co-operation, Tourism and Devaswom, Government of Kerala, envisages creation of new customised products for attracting young travellers, professionals, students and artists to the state. The policy emphasises on the active participation of the differently-abled and transgenders, while implementing the Responsible Tourism Mission across the State to promote the tourism sector. 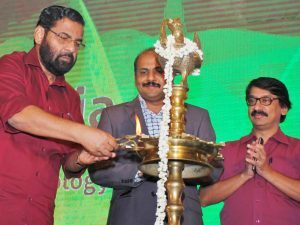 Surendran said, “The new policy aims to address the key issues of the tourism industry in cooperation with the local bodies such as waste management and renovation of roads. 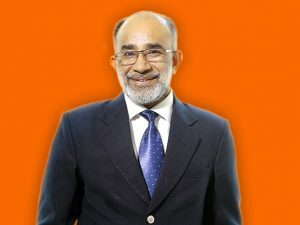 The state has immense tourism potential to attract travellers from all corners of the world.” “Following the Responsible Tourism Mission, Kerala Tourism has guided all the regional bodies and authorities concerned to implement and follow the Green Protocol at all the destinations of Kerala,” he further added. The Department of Tourism, Kerala, has proposed to establish a Kerala Tourism Regulatory Authority (KTRA) to ensure quality service for tourists and curb unhealthy practices in the tourism sector. With the aim to increase the geographical spread of arrivals to the state, Kerala Tourism plans to promote its Malabar region aggressively through a Rs 325 crore project. This includes unexplored destinations such as Kozhikode, Wayanand, Bekal and Kannur. 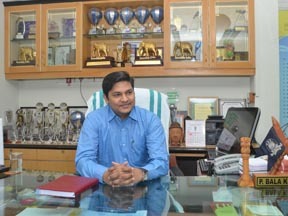 This was revealed by P. Bala Kiran, IAS, Director, Department of Tourism, Government of Kerala. He says, “To promote river cruise, the Government of Kerala has envisioned a Rs 300-crore project for nine rivers in Kannur and Kasaragod. In order to ease travel for international tourists, Cochin International Airport has been entrusted to execute the cruise tourism project by forming a Special Purpose Vehicle. In addition, the state government is planning to develop a few adventure parks as well. The government has allocated Rs. 45 crore for the Prasadam project in Kasaragod and Rs 120 crore for Green Carpet scheme for Alappuzha, Enranjil, Neyyar and Thenmala.” The state government also plans to develop 10 eco-tourism circuits to connect various forests in order to promote green tourism. Department of Tourism, Government of Kerala won the prestigious Pacific Asia Travel Association Grand and Gold Award 2017 for the Film Tourism Brochure in Marketing Media – Consumer Travel Brochure category. 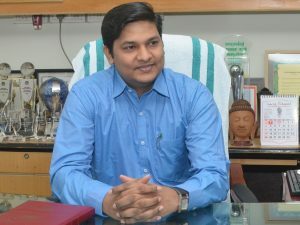 P Bala Kiran, IAS, Director, Department of Tourism, Government of Kerala received the award at the 32nd edition of the PATA Awards as the committee recognised its marketing strategy, which boosted Kerala as a must-visit destination. The PATA awards were presented to the best entries in four categories – Marketing, Education and Training, Environment and Heritage and Culture. PATA had received 220 entries from 77 organisations and individuals from different corners of the world for the category that Kerala Tourism bagged the honours. 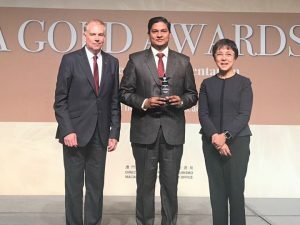 After receiving the award, Bala Kiran said, “The award has given us the opportunity to showcase the picturesque locations to a global audience that Kerala has to offer. Picturesque backwaters, pristine beaches, dreamy hill stations & exotic wildlife are the key attractions to shoot any form of media. This award is a testimony of the innovative marketing initiatives and promotional activities undertaken by the tourism department of Kerala.” “Film tourism also contribute to the overall economic development of the respective destination through income generation, investment, job creation, etc. We at Kerala Tourism are committed towards promoting tourism in a responsible manner,” he concluded.